The recent endorsement of Barack Obama by Colin Powell is consequential for two reasons. First, it indicates that Obama has survived the attacks on his past associations and leftist provenance, made by authors such as Jerome Corsi, and is actually now a rather more mainstream foreign policy candidate than many had anticipated. Indeed, if he wins the election he will become the new face of the foreign policy establishment. Powell’s endorsement also highlights just how true a President Obama is likely to be to Bush foreign policy. 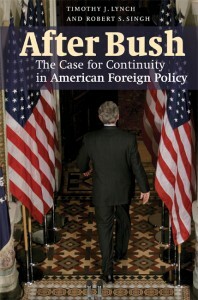 Powell was actually suggesting that Obama will run a Bush foreign policy – only a more competent and effective one. Obama’s radicalism withers by the day. We should expect a foreign and especially national security policy which buys into many of the central precepts of the 2001-09 years but which is capable of adaptation and tactical recalibration. Obama has never contended for a foreign policy revolution away from Bush but for a reformulation of tactics in pursuit of a strategy first articulated by a Republican White House after 9/11. The war on terror will not cease on January 20, 2009.